Can you see me? I'm doing the happy dance. And yes, I do dance like Elaine on Seinfeld. Bless my heart. Anyway, I finished my Loulouthi quilt top last night. 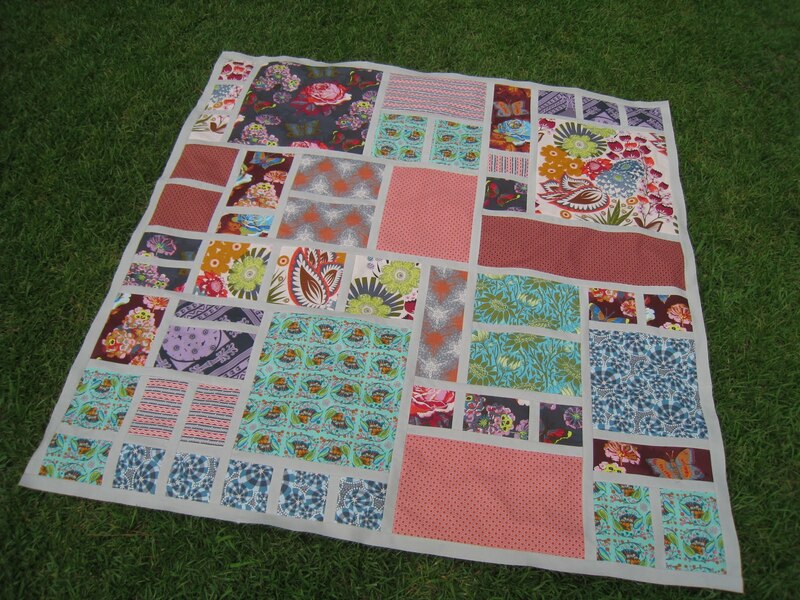 It is such a good feeling to finish a quilt top. 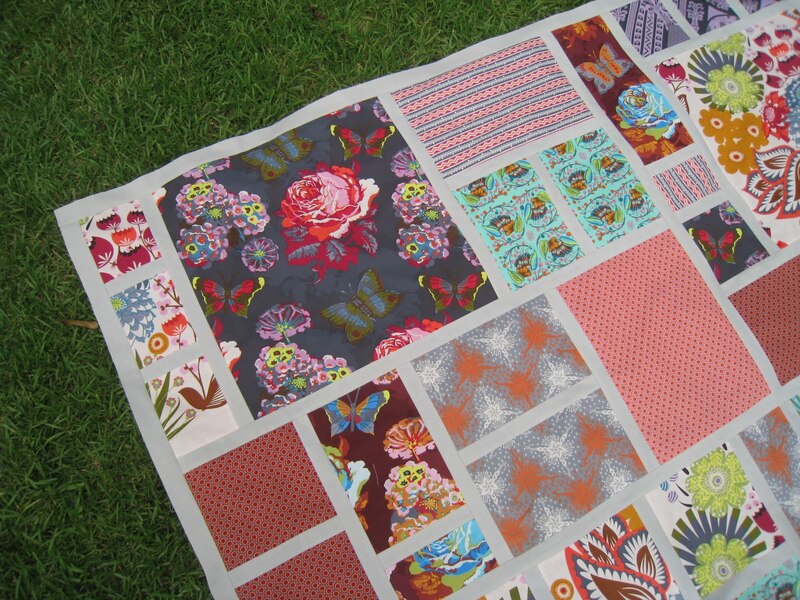 But, on the other hand, I am so enamored with this fabric line that I am kind of sad to be finished. I feel like I need some more time to touch and feel this fabric. 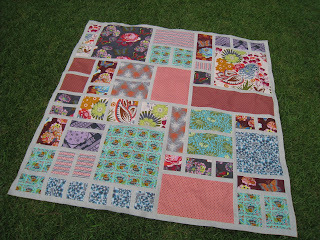 I used a pattern by Carolina Patchworks called Modern Rose Garden. 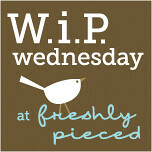 It took what seemed like forever to cut out the pattern but once I started sewing it was a piece of cake. I chose to fussy cut a lot of the squares and I had to stack my rulers against each other to get some of the sizes right for the squares and all that just adds time to cutting. I felt like I was putting a puzzle together and that made it a little challenging but still fun. I paired the Loulouthi with Kona Ash and I feel like it was a good choice. I almost always have white in my quilts lately and I thought about using it here but the ash just seemed to add more warmth to the quilt and that's the feel I was going for. Thank you to my sweet husband for helping me with the photo shoot. 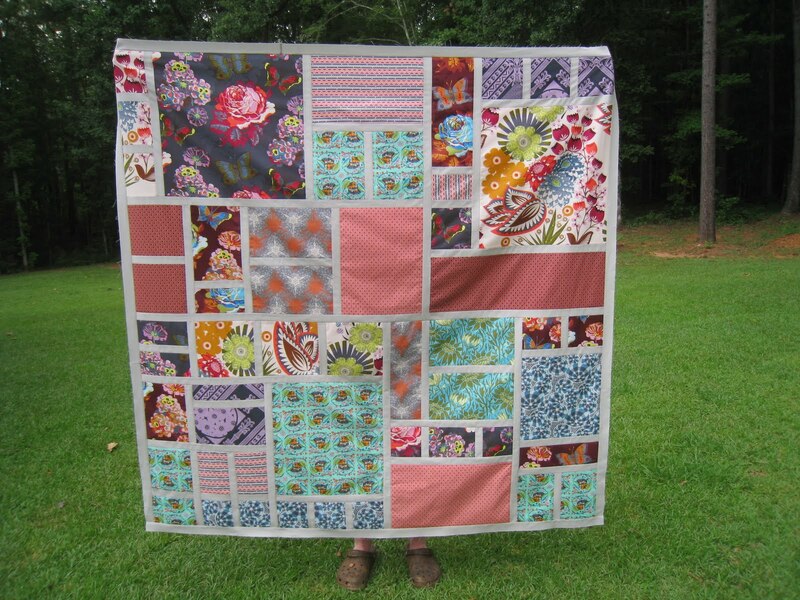 I love pictures of quilts where the poor little quilt holder's feet are sticking out - like the quilt has legs and can walk or something. 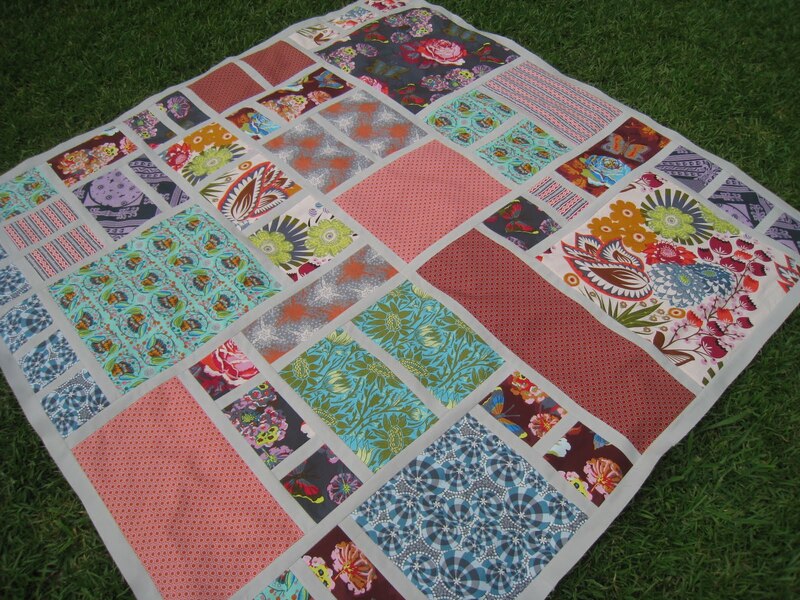 Now I just have to find something else to make with this fabric and send this baby off to the quilter. I'll let you know when she's all quilted and bound. Happy Friday to you all. Oh Mitzi...that is absolutely gorgeous!!! Beautiful job as always! The fabric is amazing! Love, love, love it! That is gorgeous! I really love this design so so much! The Ash looks perfect! Well done, girl! Congratulations! I love the quilt and the feet sticking out! 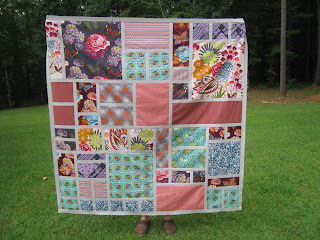 Hubbies are great for holding finished quilts! I really love your finish.